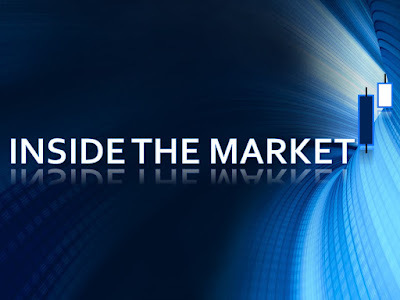 Inside The Market: The passive management. The passive management is a style of investing associated with mutual and exchange-traded funds (ETF) where an investor aims to mirror a market index. Choice of the funds in the panel with the best ranking. The panel is chosen in accordance with particular requirements (filter by class, macrocategory, assets, country, risk, currencies and so on ; it depends on the investor's preferences : see the following link ANIMA sgr products). For example, the aim of the analysis is to rank the funds of the system "Anima Italia" ; the fund ISIN codes are respectively : IT0001040051, IT0005158784, IT0004896541. The asset allocation is composed by equities, largely ; the currency is EUR ; the equity country is Italy, substantially : for further information, please consult the portfolio breakdown and the fund profile. The site provides a rating and a benchmark for each fund ; however, we can build our benchmark and our rating. For the benchmark, we choose the FTSE-mib index because it can be a good comparative parameter, given the structure of the funds. For the ranking, we use the classic portfolio performance indicators. In this way, we import the NAVs on a excel sheet and then we calculate the daily returns. The time frame is from February 22, 2016 to date. I converted the daily returns into annual returns, for greater significance. Historical data (hidden cells for space requirements) : data source ANIMA sgr. The same for the FTSE-mib index, aka benchmark. Historical data : data source Investing.com. In the following chart, we can see the performance of each fund compared to the benchmark performance. Finally, the higher the ratios, the better fund past performance (we must note that the future performance is not linked to the past performance ; however, it is a good beginning). In this way, we can calculate the ratios and rank the three funds (see the following table). 3) Fund ISIN code IT0005158784 (the worst). The "magnitude" of the liquidity. Estimate of the cost of debt.